Each team gets a primary logo, a simpler/sleeker alt-logo, and 4 uniforms (home, away, 2 alts). Some teams will get minor tweaks, and some teams will get total overhauls. People who've hung around this board for a while may recognize some of my old ideas re-worked, but there's plenty of new surprises to look forward to. I'll try to keep updating regularly. C&C is greatly appreciated! I think that the Padres could use a front number on these jerseys, but other than that, this is a fantastic concept. Very refreshing from their current generic set. Can't wait to see more. Other than that it's awesome. This is just amazing. The colour scheme works well, the tri-colour SD is flawless, the swinging friar looks like a real person, and everything else is a beaut. I hate numbers on the front, so I'm glad you didn't include them. I also think there should be a number on the front but other than that I have no complaints. Incredible....this is exactly what they should have gone with. You can't tell me merchandise in this style wouldn't fly off the shelves. Only tweak I can really think of other then what's been mentioned would be seeing what the wordmarks would look like arched a bit. Wow, I love the road script. If real, that primary hat could be top 5 easily. Amazing job. I'm sorry, but the 70's-80's look was the most dated crap ever. 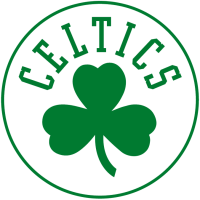 The wordmark and colors don't translate anywhere outside that era. 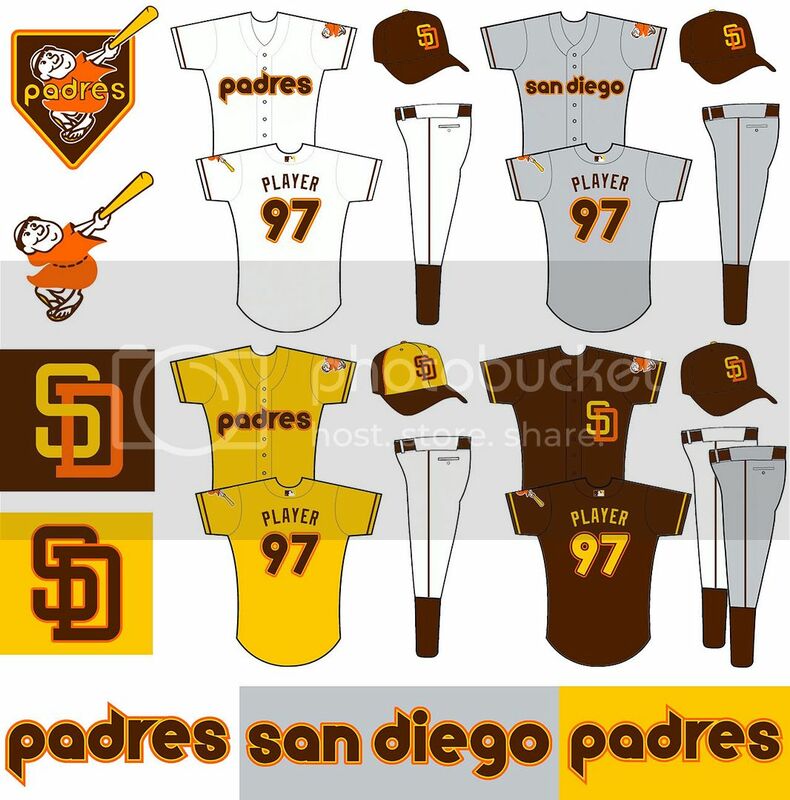 Brown and gold are fine, but add orange, and it looks like some little league jersey thrown out 30+ years ago because nobody wanted it and then given to the Padres to wear. Basically second rate hand-me-downs. The wordmarks and numbers are absolutely terrible. Those are best left to throwback status only. And this is more a criticism of the look itself and not Kevin's composition. McCall makes a compelling argument and I can most definitely see why it is exactly that people hate(d) this look, but for some reason I really like it. These colors are just really unique for any baseball team. I mean, currently in the MLB hats come in three colors: red, blue, black (with the exception of the A's) and here you have yellow and brown hats. I love this concept, those yellow jerseys are sweet! I guess this is just one of those looks that people are either going to hate or love. • Set "db" snake as the cap logo and home/alt script. It's by far the nicest part of their identity, and a much more acceptable abbreviation than "D'Backs". • Made "db" snake two-colored - simply an aesthetic preference, and would be unique to them. • Changed the brick color to a more "brick-like" shade, so it's less similar to the red worn by everyone else. It's showing up slightly more orange on photobucket than I had intended, but I think I'm ok with it. 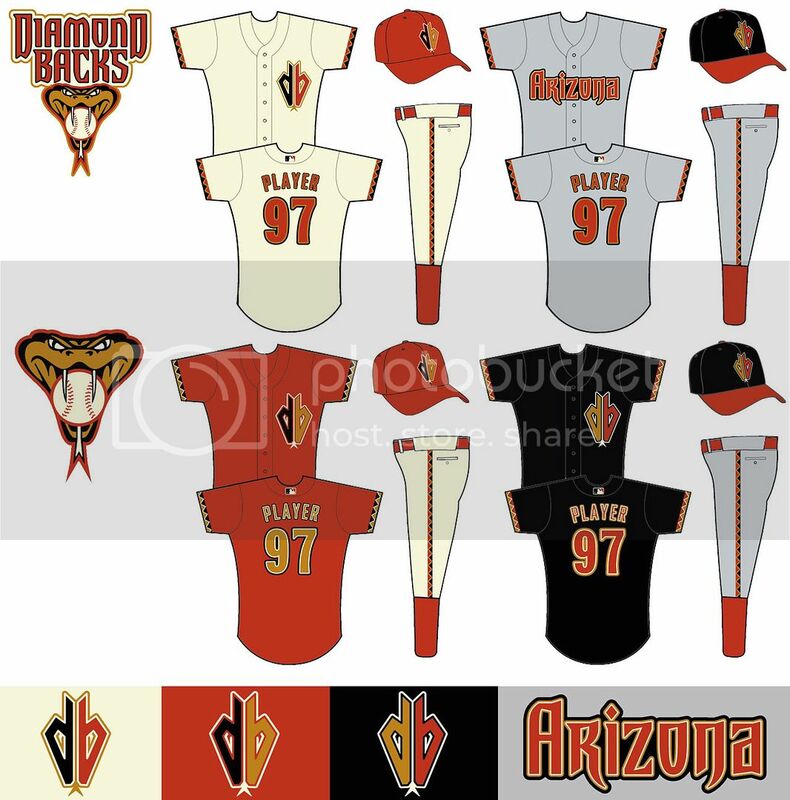 I hated the Diamondbacks' current look at first because the color scheme was jacked from the Astros. However it fits Arizona better, and Houston is about to make a change anyway, so I've warmed up to it. I like this set, especially the striping pattern. However, I'm not a fan of the two-coloured "db" logo; it just doesn't look good and is really unbalanced when it's black/copper. Also, I think putting the logo on three different jerseys is a bit excessive - just put the "Arizona" script on the road alt. Gotta agree with BigBubba on this one. I like it, but the two colored 'db' logo does look a little off. -If the black jersey is a road alternate, I think it should feature the Arizona script, not the DB. Pretty much my opinions exactly.....love the two-tone DB logo. Colours are great overall, and benefits from being more orange-ish frankly. Nicely done. • Changed the teal to a darker shade to make for a better base color. 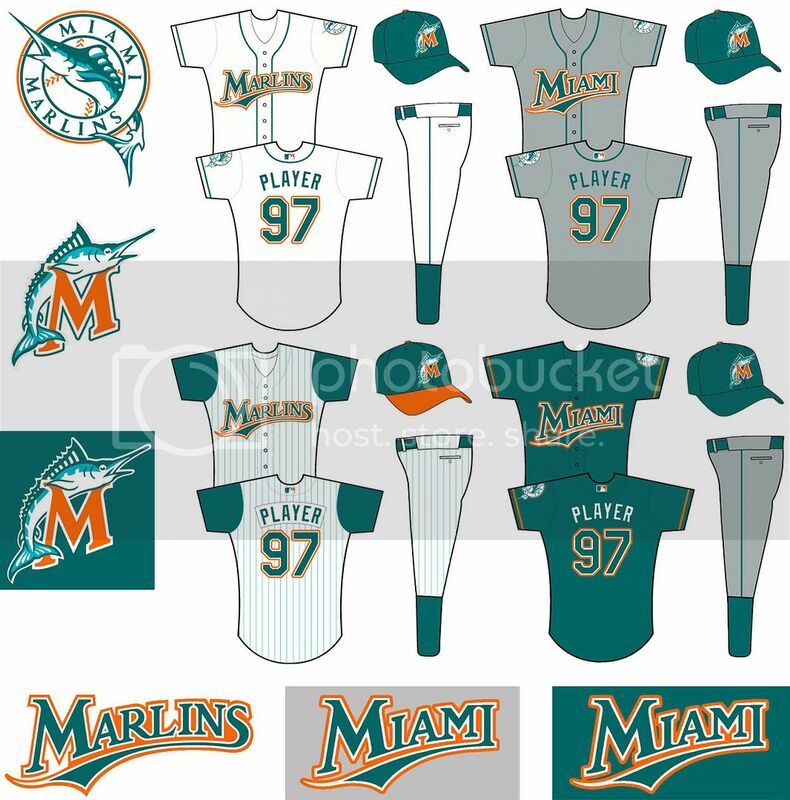 Kept the original teal as a highlight color in the fish logos. • "Miami" road script shamelessly stolen from piratesfan16 (with permission of course). All I did was re-color and add an outline. So far, I'm loving all of these. I really can't point out anything I don't like. My favorite is what you did with the D'backs. Mind if I borrow you concept? No really, I love the simplified logo. It's very fresh and timeless unlike the dated one in real life. 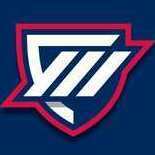 Gotta love the cap logo too. I love all of the uniforms except maybe the teal alternate. I kind of get a watery feel from it *cough*, you know with the teal filling up the numbers and scripts like water? However, I just feel it would work better with an orange script to match the cap logo. Other than that, I have no complaints. Great job. Can I see a orange jersey? I think that is what will make this set perfection. I love it all, but maybe you add silver? It's almost like you are reading my mind here. Everything is stuff i planned to do on my MLB series.